Some may say Ang Lee's Crouching Tiger and Hidden Dragon (You can't beat its award score), other may say Zhang Yimou's "Hero" or Bruce Lee's Fist of Fury or Chow's Kung Fu Hustler if you like comedy. I would will say Wong Kar Wai's Grandmaster is the best Kung Fu movie ever made. First Crouching Tiger is more wuxia than kung fu, as it is about swordfight and you do not know any style of kung fu used in the film (are they really Wudang?). 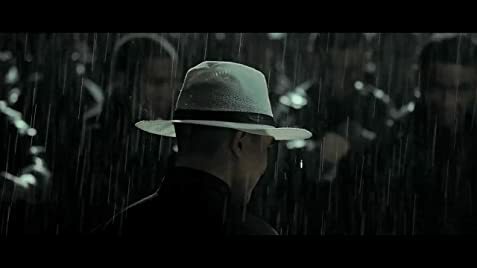 Then comes Zhang Yimou's "Hero" with a classic fight scene between Jet Li and Donnie Yen which is simply the best sword-fight in film history, only to be matched by the classic fist-fight between Bruce Lee and Chuck Norris in Way of the Dragon. But I would say Zhang's film is too political in context and Bruce's top notch is more physical than spirit (and the whole of his top kungfu film is not satisfying). Wong's Grandmaster wins in spirit, in style more than in physique and awards. With long research and a semi-documentary style film-making, Wong has made a film about kung fu in its naked self, i.e. in blood, in sweats and in tears (hard work, stamina, suffering, sacrifice and national / world heritage). I prefer the title "Grandmasters" instead of "Grandmaster" as the film is more about an age represented by many martial artists and styles in kung fu depicted and above all in Ip Man (Tony Leung), Gong Er (Zhang Ziyi) and Yixiantian (Zhang Chen). Though in order to make the film shortened from 4 to 2 hours, perhaps significant parts about Yixiantian has been cut out so that the film may look unfinished but the unfinished parts only makes one long for seeing more - its full form. In martial art, it is always the heart that counts, or in this respect, any kind of arts, inclung of course film art. For filming the Grandmaster, Wong has justified himself a film director with a heart of a grandmaster, not only in China, but also in the world like Ip Man.